UNIVERSITY PARK – OK, Penn State fans: Raise your hand if you’re satisfied with a 34-27 victory over Temple. There should be more hands up. 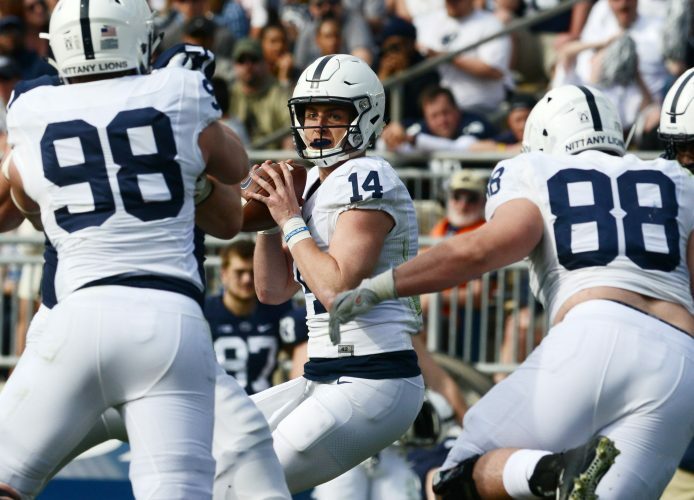 While the Nittany Lion faithful will likely never get used to having to recover a late onside kick to pretty much snuff out the Owls’ last breath – nor should they – this game brought some unique circumstances that made this win another building block. For starters, Temple has become a respectable program, evidenced by last year’s stunning win over the Lions and its progress under Matt Rhule that was on display Saturday. 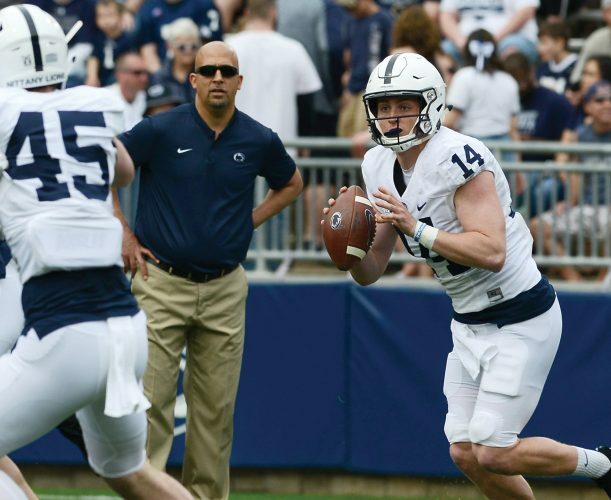 More than that, though, Penn State – already inexperienced due to the sanctions – has never had to deal with as many injuries on one side of the ball as it’s currently facing on defense. No fewer than seven starters, including all three starting linebackers (Brandon Bell, Jason Cabinda and Nyeem Wartman-White), were sidelined. “Three of the better linebackers in the Big Ten,” James Franklin said. Mix in Evan Schwan, Grant Haley, at times Marcus Allen and Malik Golden, and the wave of depth makes this a perfect time to put the names back on the uniforms. And yet, despite widespread use of reinforcements, the Lions turned in their best defensive performance of the young season, showing toughness and improvement as the Big Ten regular season dawns. “It’s just a next-man-up mentality,” defensive tackle Torrence Brown said. A week after having the ball jammed down their collective throats in the first half at Pitt, the Lions picked up where they left off in the second half last week after making the necessary adjustments and carried it over. Watching the Pitt film strengthened the defense’s resolve. “That just hurt,” Golden said. Whereas the Lions started Saturday’s game the exact same way as they did against Pitt – by pinning the Owls at their 1 with a good punt and an alert downing by Christian Campbell – this time they forced an initial punt. That mentality helped the Lions build a two-score lead in the first half, and while Temple did wind up with 27 points, 14 of those came on turnovers after the Lions gave the Owls’ second-half field position at the Penn State 9 and 1. “We had some turnovers later in the game that put our defense in tough spots,” Franklin said. A weak spot entering the game, the Lions allowed Temple just two rushing first downs and a total of 38 yards on 28 attempts. This was a Temple team that ran for 149 yards last year against the Lions’ NFL front. “I think we started off making sure we would stop the run and make them pass,” Brown said. Penn State’s offense continues to do its part, save the turnovers and a fumbling issue that needs addressed. The Lions put the ball on the ground five more times Saturday – that’s 12 on the season – and lost two. And though the special teams improved with a return game that finally looks like it can be a threat, they also sprung another big leak for the second straight game, this time gift-wrapping Temple the ball at the Lions’ 1 after a botched punt return. Even from there, it took Temple three plays to score. While the extent of the injuries are uncertain, it’s clear the Lions need as much depth as possible, especially at linebacker. Which is why even a seven-point win over Temple, on this day, was an achievement.